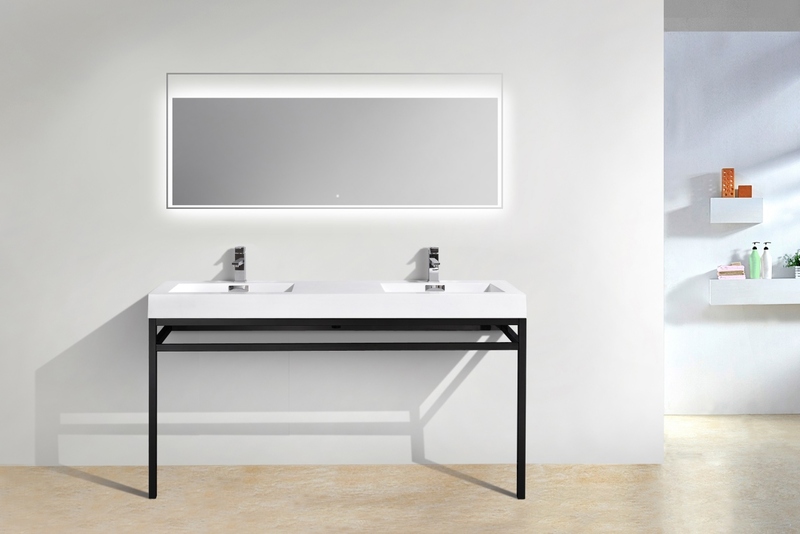 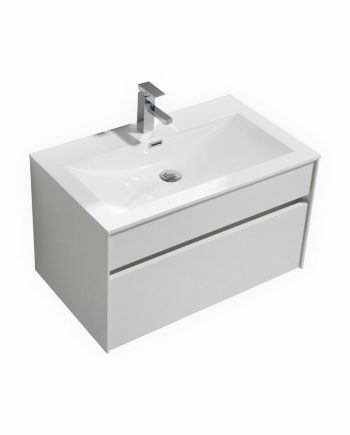 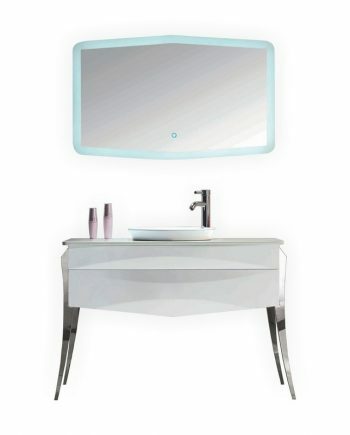 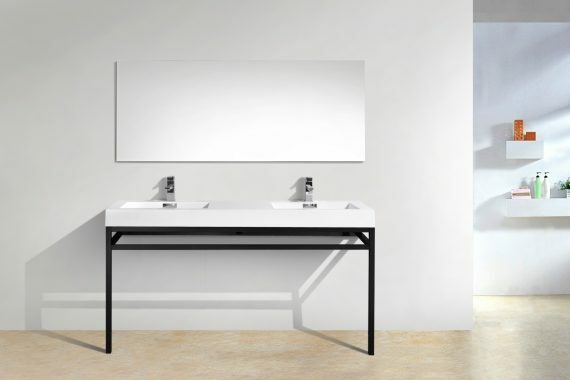 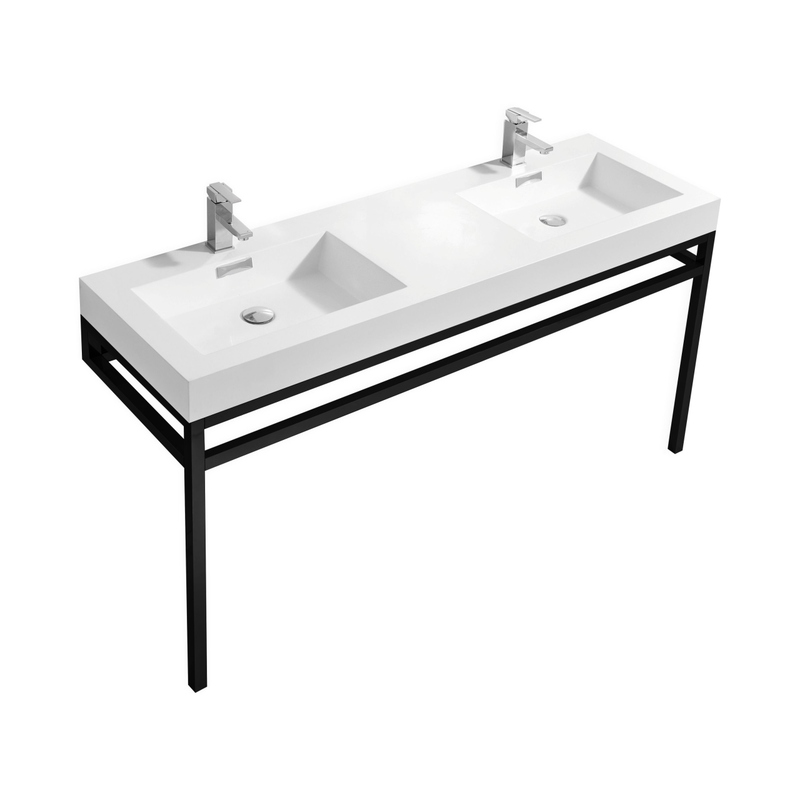 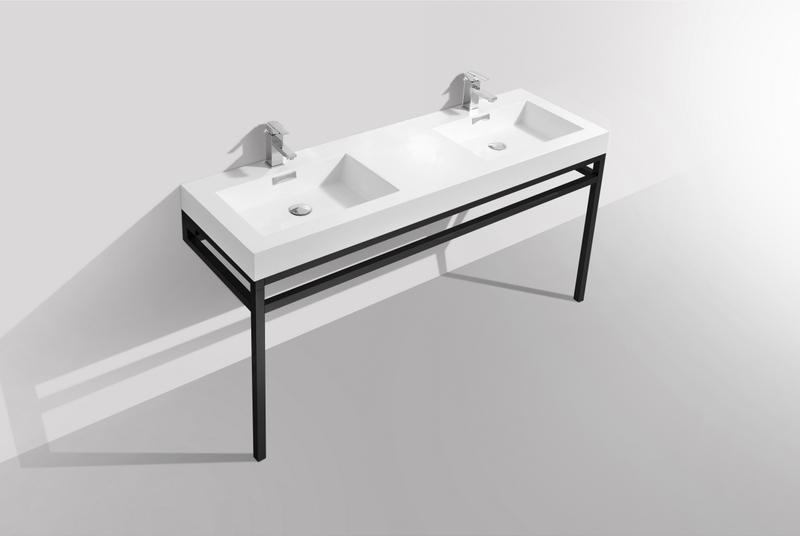 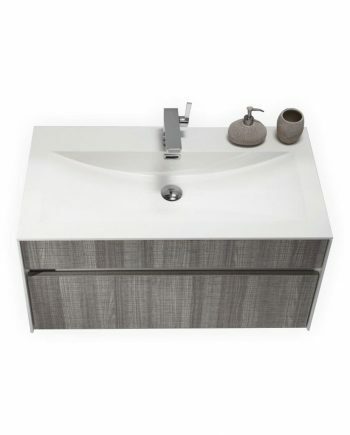 This elegant Console Vanity is compact in size and ideal for any small Bathroom or Powder Room. 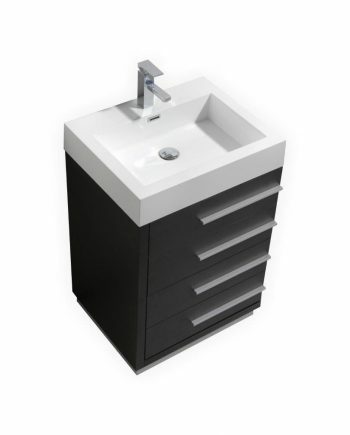 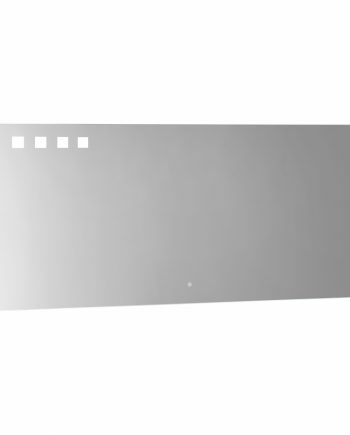 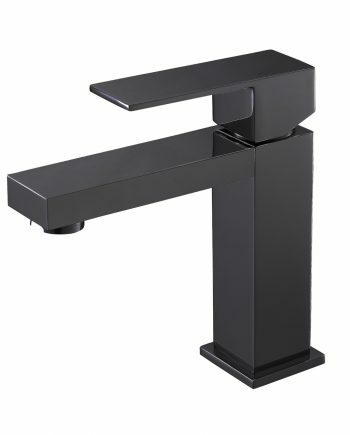 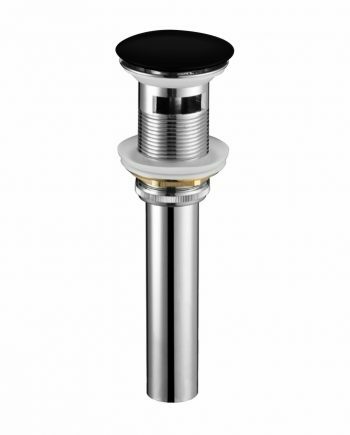 It’s made of durable 16 Gage 316L Stainless Steel and comes with a Reinforced Acrylic Composite Sink w/ Rectangular Chrome Overflow cover. 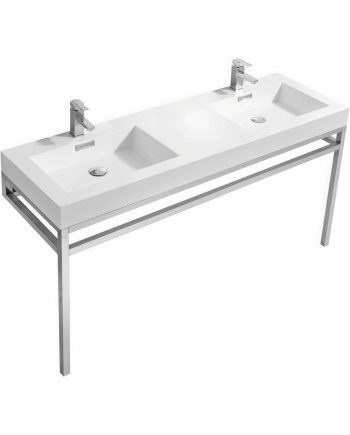 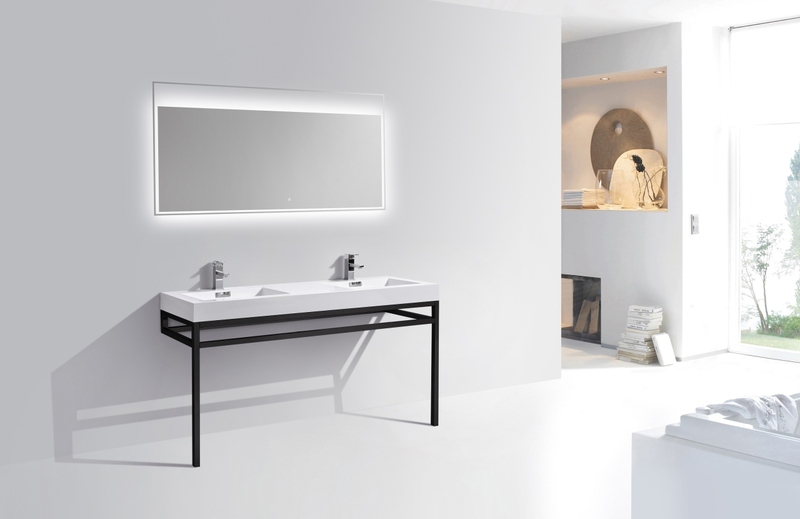 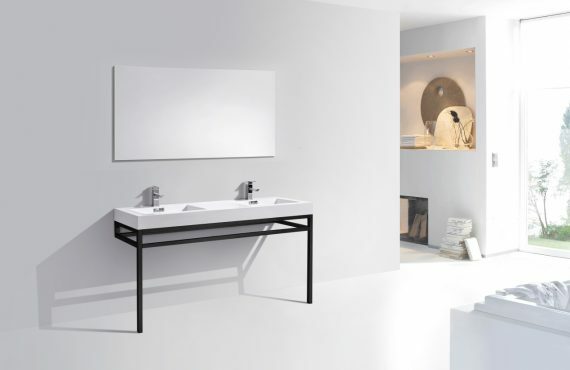 The Stainless Steel frame is minimal, creating the impression of a larger bathroom.